A startup tenant’s business plan or other requirements may change significantly during a relatively short timeframe, forcing the company to change directions, which can often mean putting the leased premises to a new use. In a commercial leasing context, permitted uses are those activities that a tenant is expressly allowed to engage in at the leased premises. Typically, these lease clauses are drafted narrowly to favor the landlord, and there may not be significant room for founders to negotiate. For startup tenants, however, broad permitted use clauses are worth the extra negotiating effort, as they will allow greater flexibility for continued growth and development—which may happen in ways the founders did not anticipate when they had their first seedling of an idea. At the broadest end, startup founders should negotiate for a permitted use clause that allows the premises to be used for “any and all legally permitted uses.” If the landlord will not agree to such a broad definition, the next step is to negotiate for broad categories of uses—making an effort to encompass any future uses the company may reasonably envision expanding into in the future. Given the potential for rapid, exponential growth that is so characteristic of startups, preferential rights should be a key focus of founders when negotiating a commercial lease. Preferential rights in a lease are those rights that favor the tenant over a third party. For startups, the most important of these rights are expansion rights and purchase options, each of which provides additional flexibility for the tenant and can play a critical role in enabling a startup to grow without interruption or delay, while avoiding potentially enormous relocation costs. A purchase option gives the tenant a preferential right to purchase the building where the leased premises are located. Expansion rights (or options for additional space) are usually valuable to tenants who anticipate needing more space because of their company’s projected growth. Expansion rights allow tenants the option to expand into adjoining premises in the building where the leased premises are located, typically as the additional space becomes available. Landlords prefer not to grant tenants purchase options or expansion rights, and successfully negotiating either requires significant bargaining leverage, which the typical startup may be lacking initially. Sometimes, however, landlords will use these preferential rights to incentivize a desirable tenant to enter into a lease—something the startup founder should keep in mind during lease negotiations. Option term: Preferential rights can be structured as a one-time right (e., it is triggered upon a definitive event and the tenant has a limited time within which to exercise the right) or an ongoing right (i.e., the tenant may opt to exercise the right at any time during the term of the lease). 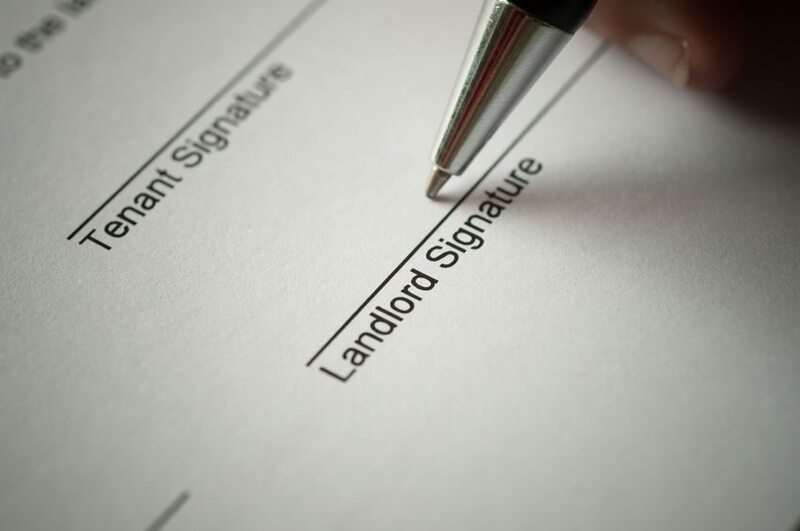 With ongoing rights, even if a tenant declines to exercise its option upon any particular offer by the landlord, the landlord will be required to reoffer the option to the tenant throughout the term of the lease. In particular for startups, whose circumstances may fluctuate continually, structuring a preferential right as ongoing has the potential to provide a significant benefit. Time periods: Preferential rights are generally drafted to include precise time limits for exercising the option after receiving an offer by the landlord. The startup tenant should ensure sufficient time to adequately consider the offer, taking into account several resources—including any required internal approval procedures and time to secure necessary capital. Alternative protection—termination rights: If the landlord will not agree to any preferential rights, the startup tenant may find itself with additional leverage to, and should, demand early termination rights (see the discussion of “Early Termination Rights” below). Startup companies have become known for offering specific amenities aimed at attracting specialized employees—and retaining them. Founders should therefore keep in mind their particular business needs when negotiating lease provisions relating to leasehold improvements. The alterations clause in a commercial lease outlines the tenant’s rights and obligations when undertaking any improvements to the leased premises. When negotiating an alterations clause, startup tenants should expect the landlord to require consent before certain improvements can be made. Landlord consent rights can be especially restrictive with respect to specialty alterations—those that are unique to the tenant’s business and not likely to be used by a successor tenant (e.g., that climbing wall that’s going to attract your next big designer). Startup founders should therefore negotiate for a narrow definition of “specialty alteration” in the lease, in order to limit the scope of landlord consent required. Ultimately, though, founders should evaluate the relative value of their desired improvements in order to prepare for a compromise with respect to allowing the landlord consent rights for the lower-priority alterations. Keep in mind, as well, that commercial leases will typically obligate the tenant to remove any specialty alterations at its own cost and expense at the end of the lease term. Protection of Intellectual Property and Proprietary Information. the right to remove any alterations containing its intellectual or proprietary property. Whether their startup has grown out of its childhood home or switched directions in a way that requires a different space, founders often find themselves negotiating to get out of their existing commercial lease. To that end, absent a contractual breach by the landlord that confers a termination right under the lease, founders can negotiate for assignment and subletting rights or the right of early termination (or both). Assignment & Subletting. Given the startup company’s potential for rapid growth and future acquisition, assignment and subletting rights can be a highly valuable tool for founders. An assignment transfers a tenant’s entire leasehold interest for the remainder of the lease term to an assignee. A sublease transfers all or part of the premises for potentially less than the full term of the lease to a sublessee. When negotiating for either of these rights, startup tenants should try to secure the ability to assign or sublet the premises without the landlord’s consent. This is one of the most heavily negotiated points in a commercial lease, however; and landlords are generally reluctant to agree to such a term. The most typical compromise is to require that the landlord cannot unreasonably withhold its consent to any assignment or sublease, and startup tenants should negotiate for such a consent standard, at a minimum. In addition, it is important to pay attention to whether a change in control of the tenant (e.g., a change in ownership of the tenant or its parent entity) will be deemed an assignment under the lease. For the startup tenant, a corporate acquisition may be the ultimate goal or an eventual necessity. Ensuring the flexibility to complete a corporate structure change or acquisition highlights the importance of negotiating for tenant-favorable landlord consent requirements in assignment and subletting clauses. Ideally, a change in control or sale of the tenant company will be included as a “permitted transfer” under the lease, so that these transactions do not require the landlord’s consent or qualify as a tenant breach. Early Termination. Even when a tenant is able to secure assignment or subletting rights and a new tenant has been found (and consented to by the landlord, if required), the landlord will most often continue to hold the existing tenant primarily liable for its obligations under the lease for the remainder of the lease term. Further, startup companies may not be in a position to devote the resources required to identify a new tenant and negotiate an assignment or sublease agreement. For this reason, an early termination right is a highly attractive alternative for founders. An early termination right allows a party to a lease to cancel the lease before the expiration of the lease term. This right can be hugely beneficial for a tenant whose landlord cannot adequately accommodate the growth of its business—and, therefore, especially valuable to the startup tenant. Early termination rights are not easily negotiated, however; and they will typically be coupled with an early termination fee or penalty of some sort. But startup tenants can, and should, negotiate for lease terms that minimize these expenses such that an early termination may remain a valid option under the right circumstances. In short, negotiating a commercial lease is never a simple process. Throughout this process, however, the startup founder will generally benefit from focusing on those lease provisions that may affect the startup’s ability to grow and develop its business—both in the short- and the long-term. Founders’ Friday is a series published by attorney Brian A. Hall of Traverse Legal, PLC d/b/a Hall Law dedicated to legal considerations facing founders and start-ups. This week’s post contributed by attorney Lia Smith.